On the quest to ‘make hot cross buns great again’, us funny folk at Oven Pride have created the ultimate treat (with a bite): Hot Cross Trump Buns. Crazy, you say? We disagree. 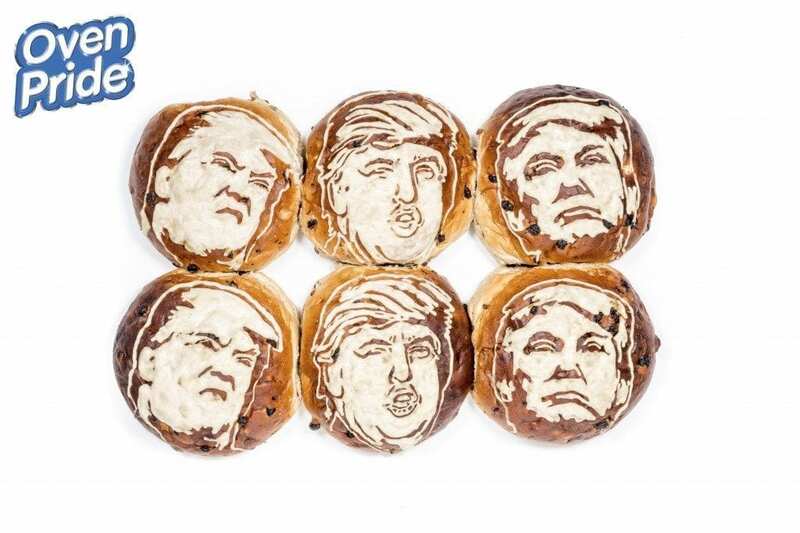 We wanted to create something quirky for Easter and Donald Trump has such an expressive face — with his shouty, cross expressions being particularly memorable — so we thought it would be fun to recreate these faces on our favourite Easter treat, hot cross buns. Inspired by an internet meme, we worked with a wonderful food artist, Prudence Staite, who studied all sorts of images of Trump in various moods to capture his facial expressions. The buns show several of Trump’s faces baked into larger versions (to match his big personality) of the Easter sweet treat.